This week for my favourite I am finally writing about a cookery book! This cookbook is not new, it was published in 2010 but is an updated and revised version of one of her old cookbooks (Complete Vegetarian Cookbook 1985). 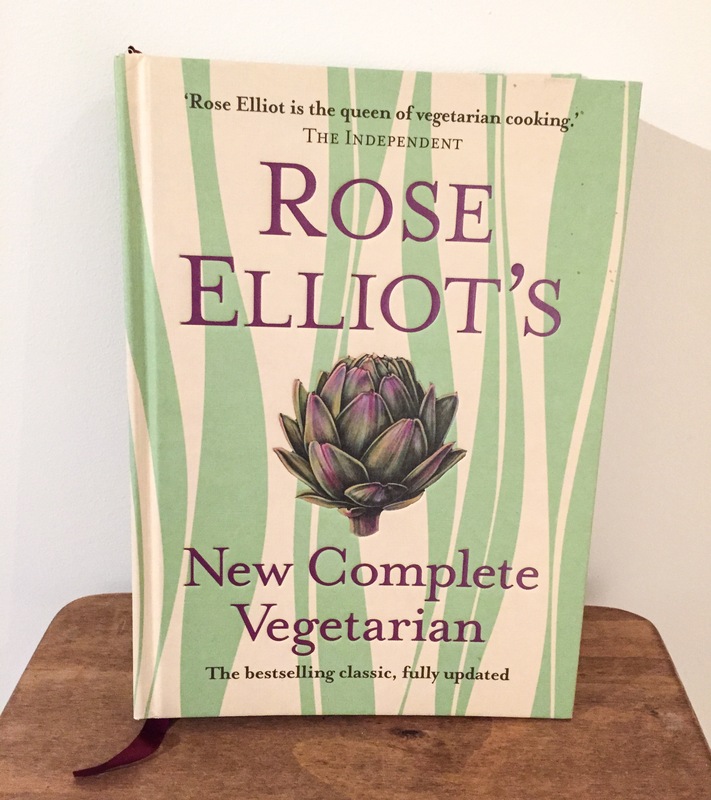 I have been using Rose Elliot recipes all of my life so when this came out I was very excited. My mum has the old edition of this but I love the new addition. Firstly the shallow reason; the cover is beautiful, very simple and clean, I will not buy a cookery book if I do not think it is aesthetically pleasing. The books takes you through soups, salads, side dishes, sauces, starters, main meals, puddings and baking. There is something for everyone in here. The book is well laid out and the recipes are clear and easy to follow. I do wish that there were a few more pictures of the meals within it but that is a minor thing. The recipes contain ingredients which are easy to source (which is very helpful now that I live in Norway!) and vegan alternatives are given where ever possible in the book too. The narrative of the book is friendly and approachable, not forcing vegetarianism down your throat, as is the case with a lot of vegetarian writers, just enabling delicious meals to be made without the need for meat. This really is a bible for any vegetarian whether new or long-time. As well as amazing recipes she also provides information on how to cook and prepare different vegetables and details different grains and pulses and how to prepare them. White nut roast with parsley stuffing; my family have this every year on either Christmas Day or New year. Baba ganoush; I served this at my sister’s wedding as canapés on top of blinis and mini oat cakes. Soba noodle, edamame and seaweed salad. Hazelnut croquettes in tomato sauce. I use this book regularly as it is great if you need some inspiration on what to cook. I have many of Rose Elliot’s cook books but this is my favourite. I really think this is a must have for any kitchen whether you are vegetarian or not and I will continue to love and use this book all my life. It is readily available through multiple sellers and there is even a kindle edition (I prefer hardback cookbooks though! ).